Dr. Sharath Chandra Swamy has been studied M.A. in Sanskrit from University of Mysore, Mysore. 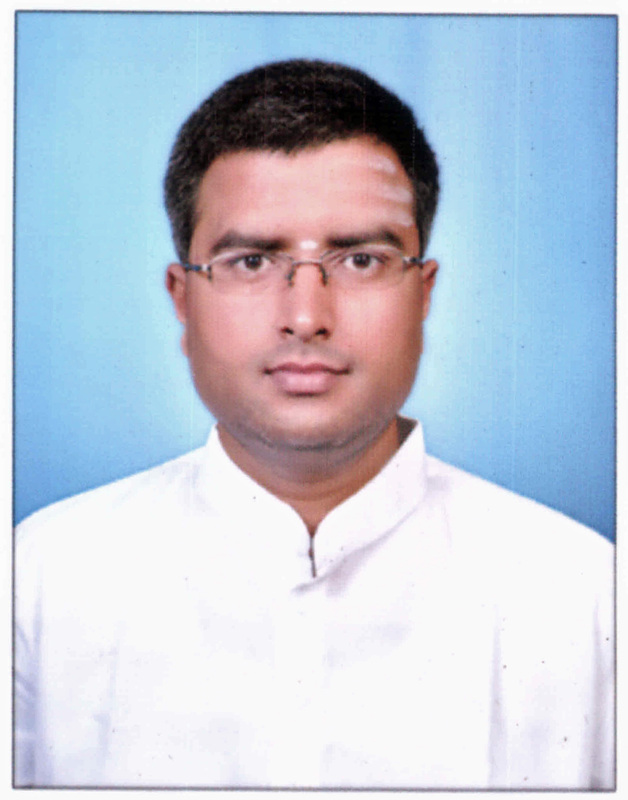 He has been awarded Ph.D from university of Mysore, for his research thesis on “Shivajnanabodha Bhasyam of Sivagra yogindra jnana Shivacharya – A Critical Study”. He has honoured with prestigious “Best Thesis” award for this thesis. As an interdisciplinary level, he had completed P.G.Diplomas in Manuscriptology and English literature. He studied Traditional Sanskrit from Maharaja College of Mysore and got Vidwat in Shakrivishistadvaita Vedanta. He worked in Oriental Research institute of Mysore from 2006 to 2013. He has edited more than eight books including Siddhanta kaumudhi Laghu vivriti vyakhya, Kanada Samgraha of Nanjaraja, Ashtanga Samgraha, Shaiva Sanjivani etc. He has an in depth knowledge in Buddhism and presently writing a Kannada book on history, development and various sects & theories of Buddhism –“Bauddha Dharma Darshana” and it will be released soon. He has presented papers on several national & International conferences and workshops. Presently he is working as an Assistant Professor in Vedanta Faculty & also Co-ordinating Research & Academics department of KSU.